This is definitely my style bathroom. It's both modern and chic. I like the clean lines, the creamy white and the sleek faucets - love, love the simple shower handle with the hidden hose. 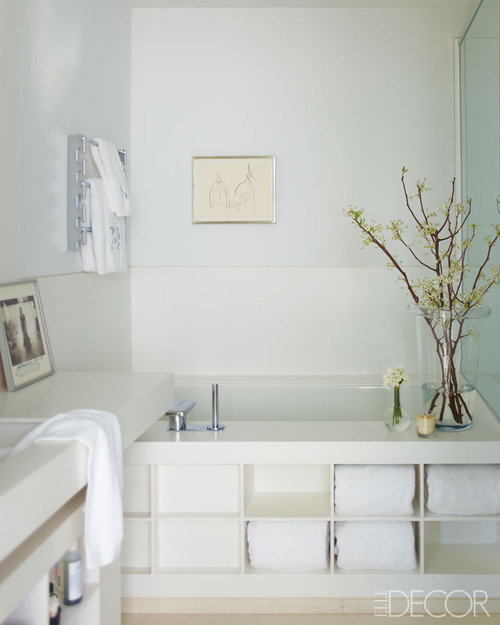 The built in towel storage inside the tub is very pretty and I think even I could maintain that folded towel look!